A graduate of the US Army War College, Major General David Haight earned four Bronze Stars over the course of his more than three decades as an infantry officer. Having commanded US Army troops in Panama, Iraq. and Afghanistan, David Haight holds a life-time membership with the Veterans of Foreign Wars of the United States (VFW). 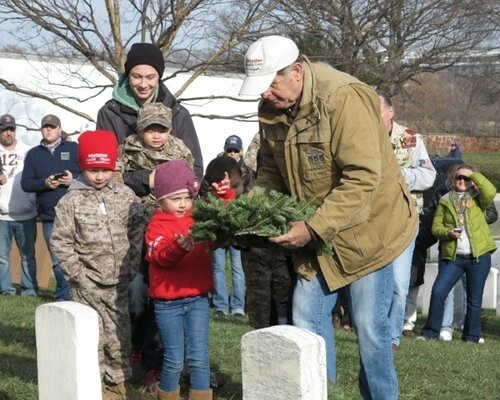 The VFW recently helped place holiday wreathes at 1,000 veteran grave sites in Arlington National Cemetery. Working with Wreathes Across America, the VFW donated $15,000 to cover the costs of wreathes for the grave sites, allowing Wreathes Across America to approach its goal of laying wreathes at 245,000 grave sites in one of America’s most well-known cemeteries. The collaboration between VFW and the veteran-focused organization Wreathes Across America began soon after the latter foundation began in 2007. Now, each holiday season, scores of VFW veterans donate money and time to ensure that fallen soldiers are recognized with a fresh wreath from the Maine-based Worcester Wreath Company.